Whether you want something unique and creative or just need to use up some scrap wood, making your own picture frame can be easy and rewarding. What is art? Critics and philosophers are free to debate the question endlessly, but we think it’s pretty simple: If there’s a frame around it, then it’s art! 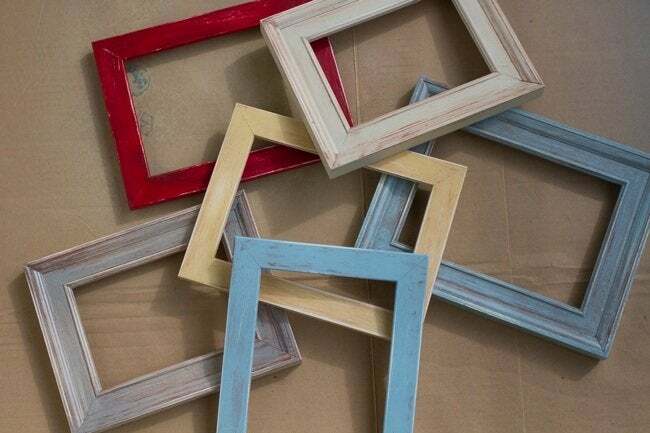 Less simple—but not so complex that you shouldn’t give it a try—is building your own picture frame. Beginning woodworkers love this project, and for many others it can be a great money-saver. Within only a weekend, provided you have access to a few basic tools, you can make a picture frame to keep for the rest of your life. The following steps apply in a general way no matter what type of wood you want to use (or happen to have on hand), or what size you would like the picture frame to be. But for the sake of simplicity in this tutorial, we’ll assume that you intend to build an 11″ x 14″ picture frame from a 1″ x 4″ maple board that measures 4 feet long. With a router, cut a 1/2″ x 1/2″ rabbet—that is, a rectilinear groove—along one of the long sides of each of the two pieces. The picture is going to lie against the rabbet, so if you expect to frame an item (or to use a mat) of considerable thickness, accommodate it by creating a more generous rabbet. Use a miter saw to cut one end of both boards at a 45-degree angle, being careful to make sure that the rabbet runs along what is to become the inside of the frame. In other words, once you have finished cutting an angle into each board, the rabbeted edges should be opposite the longer (and pointier) side. Measure the longer side of the picture you are going to frame; add 1/16″ to that measurement. Then choose one of the two boards and transfer that total measurement to its rabbeted side, marking the distance. Here, cut a 45-degree angle, this time in the direction opposite to the initial angled cut. Next, place the second board over the one into which you’ve just now cut a second angle. Mark the second board, then cut it so that you have a pair of identical pieces. On the two leftover pieces, repeat the process of measuring, marking, and cutting, this time using as a guide the shorter side of the picture to be framed. Make sure you’re keeping the rabbeted side to the inside of the frame. Assemble the four pieces into a rectangular shape, remembering always to position the rabbet groove to the inside. Dab wood glue onto each joint, then fasten the pieces together by means of brad nails. Two nails close to each outside corner ought to do the trick. Wipe away any excess glue immediately. Let dry overnight. Sand the picture frame, then wipe away any sawdust with a damp cloth. Once you have allowed enough time for the wood to dry completely, it’s safe to apply your choice of finish. (If you’re building with attractive lumber, I recommend finishing with linseed oil.) Having finished the piece, flip it over so the back (rabbeted) side is facing up. Fit a piece of cut-to-size glass into the frame, then lay the picture face down on the glass and place a backing over it. You have several options for securing everything in place, including glazing points or brads. Congratulations, you’ve created a masterpiece: You might even decide to leave the picture out entirely, because the frame itself is such a work of art!